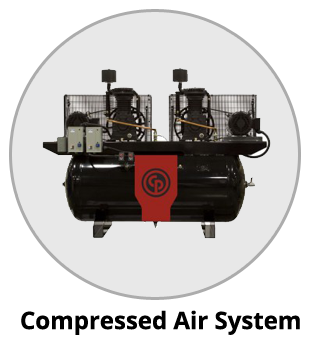 Toronto Air Compressors | Pneumatic | Hydraulic Brampton Mississauga | Compressed Fluidpower Services Ltd. Welcome to Compressed Fluidpower Services Ltd. Enhanced reliability and simplified maintenance! Compressed Fluidpower Services Ltd. is your ultimate choice for Compressed Air System, Hydraulic and Pneumatic Equipment. 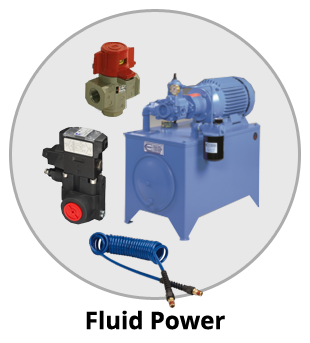 We are based in the Greater Toronto Area and all our products are easy to own, simple to operate and maintain. Our products offer the best value and highest quality in the market. We carry range of brands such as Chicago Pneumatic, Walker Filtration, Champion, Fai Filtri, Parker, Humphrey, SMC, Norgren, Techquip and Bimba. Our product features – energy efficiency, low noise, easy maintenance, and most importantly reliability. With thousands of high-pressure systems in a variety of industrial applications, we share our knowledge and experience to provide outstanding services. Our range of products can be used for industrial plants of any size. Serving: Brampton, Mississauga, Vaughan, Toronto, Oakville, Burlington, Milton, Bolton, Whitby and Pickering. SMC, Parker, Festo, Vickers, Eaton, Norgren, Humphrey, Bimba, TRD, Aro Chicago Pneumatic, Atlas Copco, Sullair, Quincy, CompAir, Ingersoll Rand, Champion, Techquip and Devair. | Equipment Leasing & Financing Services by Easylease Corp.
Brampton, Mississauga, Vaughan, Toronto, Oakville, Burlington, Milton, Bolton, Whitby and Pickering.